The Winnebago County Fair is closing in on a century of celebrating agricultural living and all that it offers to people everywhere. The 97th Winnebago County Fair will be Wednesday through Sunday, Aug. 15-19, at the fairgrounds in Pecatonica. Your Home: Simply Amish is Back! 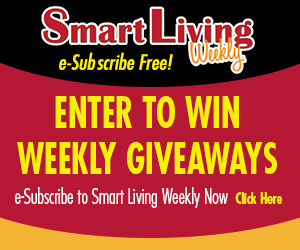 Congratulations to Kelli Barnett, of Rockford, this week’s Smart Living Weekly giveaway winner! Kelli takes home 2 tickets for one round of golf at Elliot, Ingersoll, Sandy Hollow, or Sinnissippi Golf Course, in Rockford. Next week’s giveaway is 4 Mega Passes to the Winnebago County Fair. Enter now by visiting northwestquarterly.com/contest. This entry was posted on Wednesday, August 8th, 2018 at 5:00 am	and is filed under Arts & Entertainment News & Events, Business News & Events, Mind & Spirit News & Events, News & Events, Smart Living Weekly, Smart Living Weekly. You can follow any responses to this entry through the RSS 2.0 feed. Both comments and pings are currently closed.